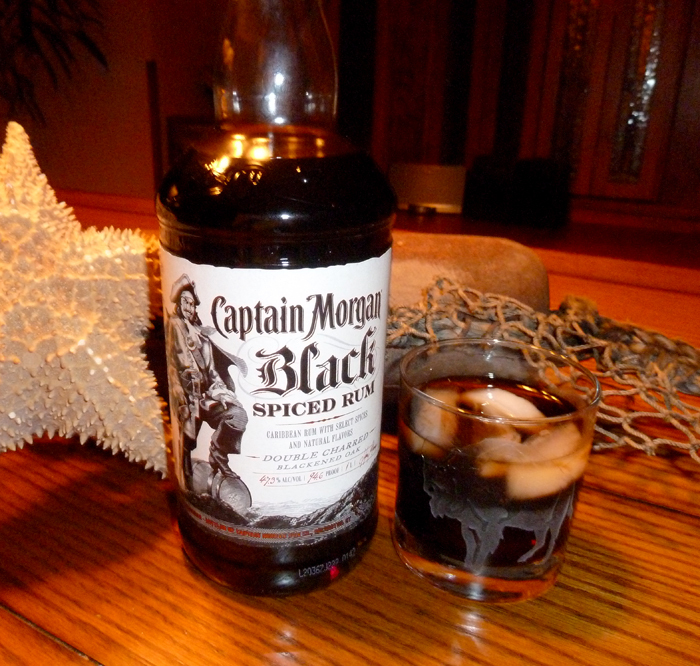 After sampling this at the bar the other night, I knew I had to get myself a bottle of Captain Morgan Black Spiced Rum. Boasting a higher alcohol content with a bolder, spicier flavor, mixed with some cola, this is a new favorite drink of mine. Not as spicy as other dark spiced rums like The Kraken, the flavor is more subtle, but none the less delicious. I love the bottle design, complete with a cork top and hidden rear label which is exposed the more you drink… Captain Morgan Black is a fine addition to any Pirates liquor cabinet this Summer. Yarrrgh!